Simon, Lucy, Campbell and Gwen were a few of the participants in the Easter Egg Hunt that happened in April of 2011. 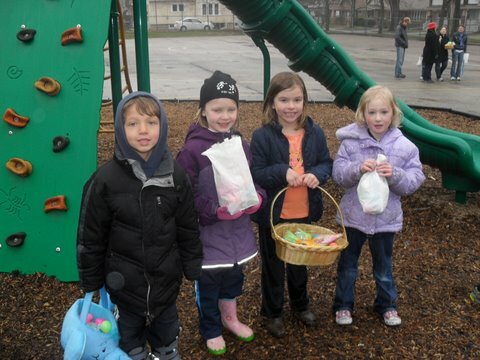 Pabst Park children 10 years old and younger are invited to search for candy filled eggs and take home a small craft. Welcome to the Pabst Park neighborhood! The Pabst Park Neighborhood Association is one of 30 neighborhood associations in Wauwatosa that give us a small town feel. Explore our site to find out more about membership and our events. You can also find copies of our newsletters, eBlasts and information about how to join Nextdoor for our area. Like us on Facebook, or join our Instagram and Twitter feeds. Our minimal dues help us maintain our website, cover insurance costs, distribute newsletters and most important, host events for you to meet your neighbors. Please consider joining, today! Are you a local business looking for a place to advertise? 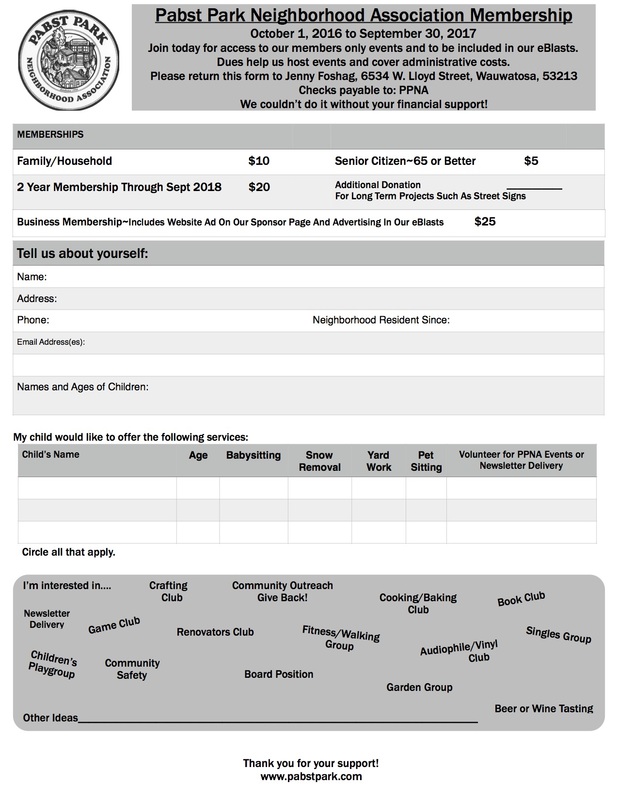 Join the Pabst Park Neighborhood Association as a business member. Benefits include advertising space on our Sponsors page and an open invitation to attend our events and meet our members!